We conduct species surveys and habitat assessments to develop effective wildlife mitigation plans. MB&G’s biologists are well trained in the habitat requirements of wildlife species found in the Northwest and beyond. We also have extensive knowledge of federal, state, and local environmental laws affecting wildlife species and their habitats. 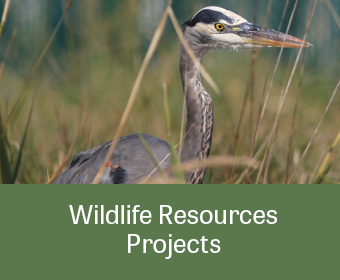 This combination of our knowledge regarding wildlife species and our experience with laws and regulations enables MB&G to assist clients during every phase of a project’s design and environmental permitting. In addition, MB&G’s experienced biologists have the capabilities and specific skill sets needed to assist clients who are pursuing wildlife-focused research unrelated to regulatory compliance needs.